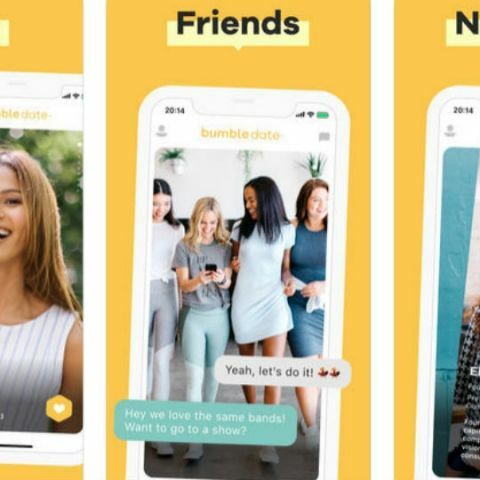 Bumble app was started by Tinder co-founder Whitney Wolfe Herd and the main difference between this app and others is that only women can make the first contact. 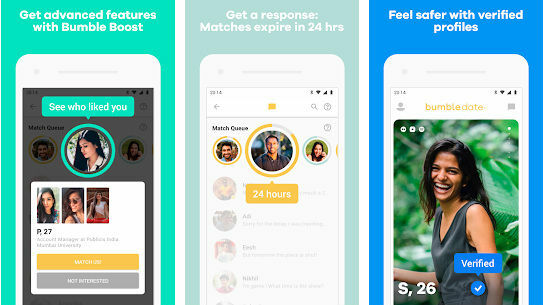 In a bid to stir India's online dating scene, location-based women-centric app Bumble has now expanded its operations in the top eight metros in the country. Launched at an event in Delhi, the app was started by Tinder Co-founder Whitney Wolfe Herd and Actor Priyanka Chopra is among its investors. The actress flew to Delhi for her reception after her wedding with American celebrity Nick Jonas and was present at the Bumble launch event in the city. According to Bumble’s app info on Google Play Store and Apple’s App Store, over 40 million people have signed up for Bumble since its launch in 2014. Bumble’s launch is going to congest the dating app segment in the country where Tinder, OKCupid, happn, and others are already popular. The differentiating feature in Bumble is the way the app combines "dating, friend-finding, and career-building into a single social networking platform”. On Bumble, women make the first move. If a person has a match, the woman has a 24-hour window to respond. The main revenue comes from paid features like extending the 24-hour limitation to respond to a match. According to the app’s senior executives, the revenue and user base is doubling every year and it has made its Asia debut with India. "India has always been on the radar. It is an important market because there are millions of women here and we are a product built by women to be able to empower women globally, to recalibrate gender and patriarchal standards. We are focused on combating misogyny. Other products are driving their business looking for numbers. While those things matter to us, they are secondary. We are coming in with a mission,” Livemint quoted Herd as saying. Herd says that Bumble is not looking to compete with Tinder or other dating apps that are currently present in India. For Sarah Jones Simmer, Bumble’s Chief Operating Officer, India is attractive in terms of the precipice it currently stands on, especially when it comes to women. “We have this technology that allows them to take on a more meaningful role in the most important relationships in their lives,” Simmer was quoted as saying. Bumble has introduced some India-centric features like a religion filter, mentions of astrological signs, smoking and drinking habits, as well as an option for women to only mention the initial of their first names. “We’ve learnt that women are quite similar across the globe. They all have a voice, they all want friendship, respect, opportunity and the ability to be themselves, it’s not nuanced differently in India and America. It’s been fascinating to sociologically approach the beautiful tradition of India, make sure we don’t damage that but make a positive impact,” Herd noted.